Booking a ski lesson can seem, well, a tad bit overwhelming. There are so many choices. We’re here to help you find the right lesson for you and your family. 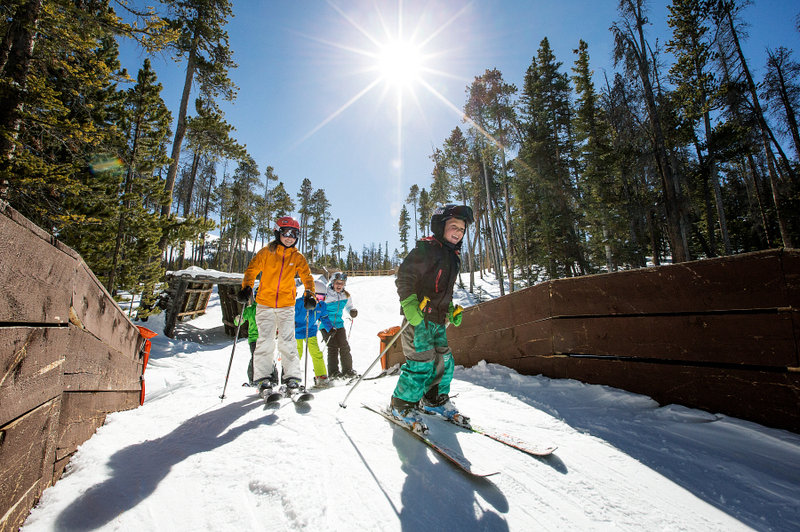 Here’s a quick guide to Keystone’s Ski and Ride School programs. 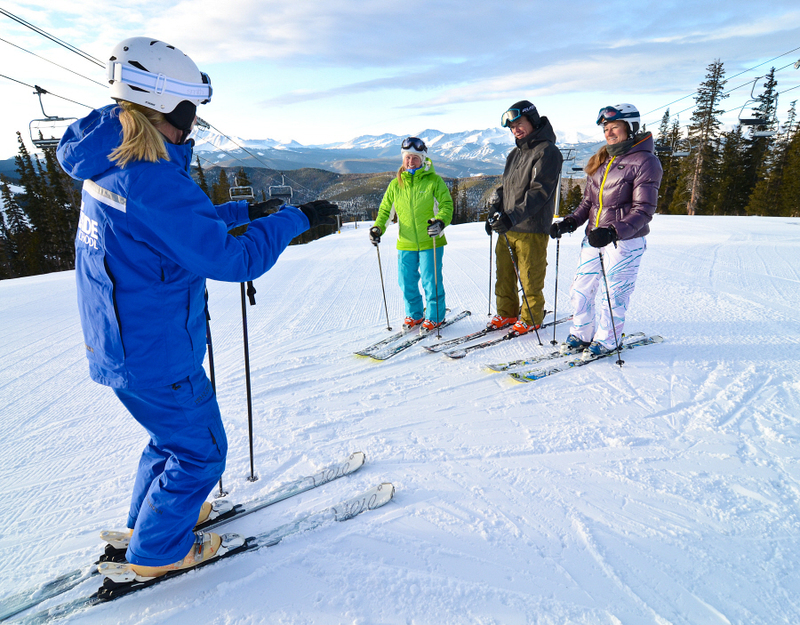 Family Ski School Instruction in Keystone, CO. If you’re looking for individual attention and the ultimate in personalized learning, look no further. Private lessons are just that – private, which means you’ll get to customize everything from start to finish and allows you to progress at a faster rate with more confidence. Keystone offers half day, full day and multi-day private lessons from beginners to advanced. What you might not know is that private lessons can be used by individuals, families, or groups wanting to ski together, which can make a private lesson a much more affordable option than you realize. Invite five friends or family members to join your private lesson for no additional charge. For FREE. Our Women’s Ultimate 4 lesson guarantees no more than 4 students to one pro. These lessons are only offered from the River Run base area and are available for women 15+ who are beginners (levels 1-4). It’s a great way to get plenty of personal attention and hone your skills in a small group experience. In our group lessons you are, just as it sounds, part of a group. We match students by ability and engage everyone in a fun, social learning environment. Everyone has goals and Keystone coaches are here to help you achieve them. Check out the options for group lessons and the benefits they offer, like front-of-the-lift-line access, not to mention getting the inside scoop from local pros. TIP: Book online and save, especially for multi-day lessons (and lift tickets). 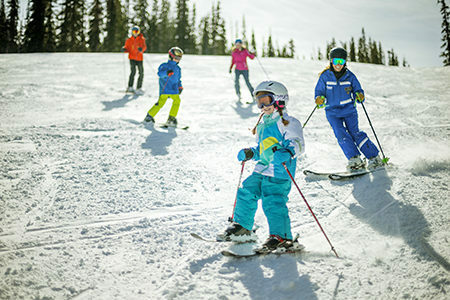 Whether your kids are just learning to ride, or you need someone to ski bumps with them, our kids group lessons provide a fun day with other kiddos. To maximize fun and learning, kids are grouped by age and ability. We have two age groups: 3-6 year olds and 7-14 year olds. All kids’ group lessons are full day and include lunch. 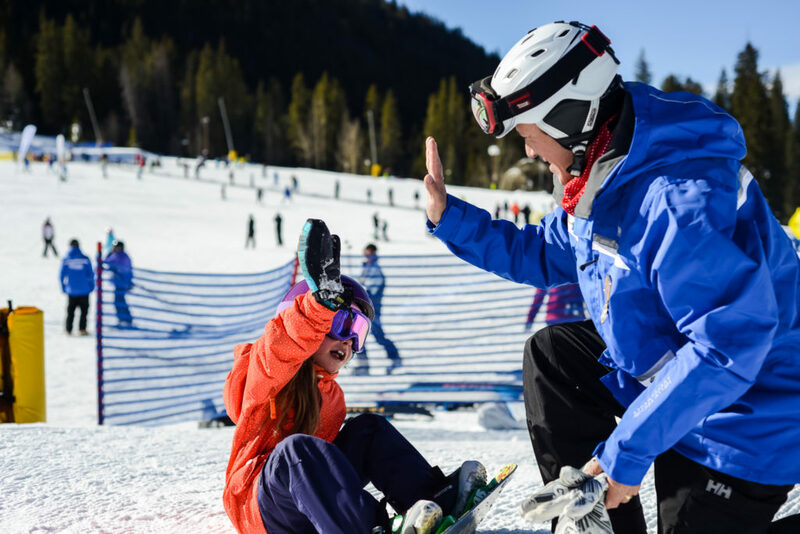 Ski and snowboard lessons are available for all ages. Burton Riglet Park: Snowboard lessons for 3-6 year olds are only available at Camp Keystone, our Mountain House ski school. 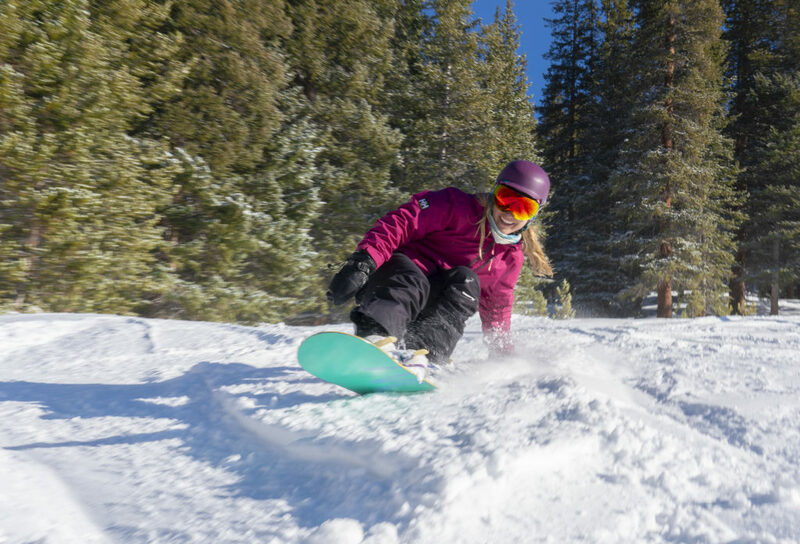 Keystone has partnered with Burton to create “Ripperoo’s Burton Riglet Park,” a snowboard park designed just for 3-6 year old snowboarders to explore the sport and learn in a fun environment. Your 3 year old ripper will be sliding boxes right from the get go. When you book 3 or more consecutive days of any discipline at Camp Keystone, you are guaranteed the same coach every day. Building a relationship with their coach over multiple days allows kids to progress quickly. Kroozers, Jr. Kroozers, and Explorers are our monthly, multi-week programs. They run on the weekends, December through March. Kids are divided by age and ability and ski with the same class and coach for the entire session. Your kids will progress weekly right before your eyes. Taking a lesson isn’t just for first-time skiers or snowboarders. Ski and snowboard lessons are right for anyone wanting to improve their skills or explore Keystone with an experienced guide and pro. And, if you’re looking to save time, a lesson gives you the added benefit of a dedicated ski/snowboard school access line at all of the lifts and gondola (which means less waiting in lift lines). Plus, all Keystone ski and snowboard lessons are linked to Epic Mix and EpicMix Academy where youcan track your progress and earn pins every time you go out with one of our pros. For more information on any of our lessons or to book a lesson, stop by our locations in River Run or the Mountain House, call 800-255-3715, or visit our website, here. I think it is important for the public to know how many students they can put in a private lesson.